For supplying a load in excess of the rating of an existing transformer, two or more transformers may be connected in parallel with the existing transformer. 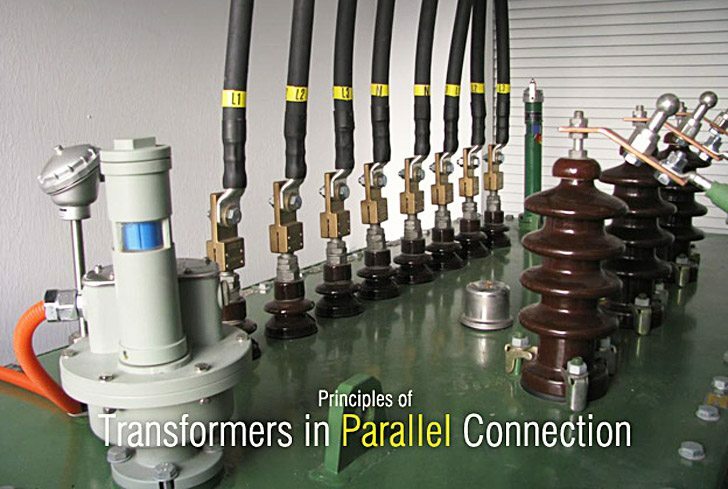 The transformers are connected in parallel when load on one of the transformers is more than its capacity. The reliability is increased with parallel operation than to have single larger unit. The cost associated with maintaining the spares is less when two transformers are connected in parallel. It is usually economical to install another transformer in parallel instead of replacing the existing transformer by a single larger unit. The cost of a spare unit in the case of two parallel transformers (of equal rating) is also lower than that of a single large transformer. In addition, it is preferable to have a parallel transformer for the reason of reliability. With this at least half the load can be supplied with one transformer out of service. The convenient conditions are: Same voltage Ratio and Turns Ratio, Same Percentage Impedance, Same KVA Rating, Same Position of Tap changer. The mandatory conditions conditions are: Same Phase Angle Shift, Same Polarity, Same Phase Sequence and Same Frequency. When the convenient conditions are not met paralleled operation is possible but not optimal. If single-phase transformers are connected in a Y-Y bank with an isolated neutral, then the magnetizing impedance should also be equal on an ohmic basis. Otherwise, the transformer having the largest magnetizing impedance will have a highest percentage of exciting voltage, increasing the core losses of that transformer and possibly driving its core into saturation. The standard method of connecting transformers in parallel is to have the same turn ratios, percent impedances, and kVA ratings. Connecting transformers in parallel with the same parameters results in equal load sharing and no circulating currents in the transformer windings. Example Connecting two 2000 kVA, 5.75% impedance transformers in parallel, each with the same turn ratios to a 4000 kVA load. Example Connecting 3000 kVA and 1000 kVA transformers in parallel, each with 5.75% impedance, each with the same turn ratios, connected to a common 4000 kVA load. Example Two 2000 kVA transformers in parallel, one with 5.75% impedance and the other with 4% impedance, each with the same turn ratios, connected to a common 3500 kVA load. Example Two transformers in parallel with one 3000 kVA (kVA1) with 5.75% impedance, and the other a 1000 kVA (kVA2) with 4% impedance, each with the same turn ratios, connected to a common 3500 kVA load. Small differences in voltage cause a large amount of current to circulate. It is important to point out that paralleled transformers should always be on the same tap connection. Circulating current is completely independent of the load and load division. If transformers are fully loaded there will be a considerable amount of overheating due to circulating currents. This type of parameter would be unlikely in practice. If both the ratios and the impedance are different, the circulating current (because of the unequal ratio) should be combined with each transformer’s share of the load current to obtain the actual total current in each unit. Example Two transformers connected in parallel, 2000 kVA1 with 5.75% impedance, X/R ratio of 8, 1000 kVA2 with 4% impedance, X/R ratio of 5, 2000 kVA1 with tap adjusted 2.5% from nominal and 1000 kVA2 tapped at nominal. Transformers having different kva ratings may operate in parallel, with load division such that each transformer carries its proportionate share of the total load To achieve accurate load division, it is necessary that the transformers be wound with the same turns ratio, and that the percent impedance of all transformers be equal, when each percentage is expressed on the kva base of its respective transformer. It is also necessary that the ratio of resistance to reactant in all transformers be equal. For satisfactory operation the circulating current for any combinations of ratios and impedance probably should not exceed ten percent of the full-load rated current of the smaller unit. The only important point to be remembered is the tap changing switches must be at same position for all the three transformers and should check and confirm that the secondary voltages are same. When the voltage tap need change all three tap changing switches should be operated identical for all transformers. The OL settings of the SF6 also should be identical. If the substation is operating on full load condition, tripping of one transformer can cause cascade tripping of all three transformers. 1. AVR (Automatic Voltage Regulator) – an electronic programmable device). With this AVR we can set the Output Voltage of the transformers. The Output Voltage of the transformer is fed into the AVR through the LT Panel. The AVR Compares the SET voltage and the Output Voltage and gives the error signals, if any, to the OLTC through the RTCC Panel for tap changing. This AVR is mounted in the RTCC. 2. RTCC (Remote Tap Changing Cubicle) – This is a panel consisting of the AVR, Display for Tap Position, Voltage, and LEDs for Raise and Lower of Taps relays, Selector Switches for Auto Manual Selection… In AUTO MODE the voltage is controlled by the AVR. In manual Mode the operator can Increase / decrease the voltage by changing the Taps manually through the Push Button in the RTCC. 3. OLTC is mounted on the transformer – It consists of a motor, controlled by the RTCC, which changes the Taps in the transformers. Both the Transformers should have same voltage ratio at all the taps and when you run transformers in parallel, it should operate as same tap position. If we have OLTC with RTCC panel, one RTCC should work as master and other should work as follower to maintain same tap positions of transformer. I understood from you different tropics that you are knowledgeable in electrical power and distribution side. Factory is around 700 meter from Generation plant. transformer (11/0.415KV) to LT panel and power will go in side factory to run the machine. Factory side 4 nos 2.5MVA transformer will be connected as usual Dyn11. Your proper suggestion will be highly appreciated. sir please help me in solution with how can we connect two transformer of same rating in parallel from low voltage side to the consumers. Dear Sir, we have two transformers feeding DC switchboard individually suitable for 12 pulse drives, but when both in parallel primary winding’s displaced such that secondary windings are displaced by 15deq, resulting 24 pulse system. Now one TX is online and I need to connect other ones in parallel , how I can confirm phase shifting , what tester I need to use? Do I need to carry out this test off load? sir, we does not open CT transformer secondary in ON load condtion. Suggest you provide acknowledgment of the origin of this material, plagiarism is not looked at kindly by Schneider’s lawyers. Good catch! Jignesh Parmar sure is a loser. I have two identical transformers that can be paralleled and I was wondering how important it is to match the taps prior to paralleling them? There is no master/follower enabled in the controls and they are both supplied by an OLTC that can be placed in auto with a 30 second timer when a raise or lower command is given. The secondary voltage is held at 25,000V +/- 120V based on the automatic settings of the tap changer controller. The procedure I see workers following is to but the tap changers in manual and match taps, then transfer the load/parallel the transformers and then manually adjust the tap position manually to the desired value. I am wondering if this is a typical standard? Why can’t we just leave the OLTC in auto and let it regulate the transformers voltage with the change in load? Your response to this query is greatly appreciated. Let suppose we have 100 sites of existing Substations, now we want to construct solar power plants to feed or increase the power to this existing grid. what parameters we need to check? and what we need to add to the existing substations. And how to connect the new Power plants to the existing substations. Please advise. I am a diploma electrical engineer from R.C. Technical Institute, Saraspur, Ahmedabad. 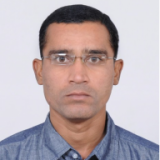 I have >15 years power plant operation and maintenance experience in different locations in Gujarat and UAE. if u can give me your mail ids. i m working at 220 kv grid substation. there are two transformer of 100 mva rating running in parallel.their percentage impedance differs by one percent hence the load sharing of one of the transformer having lower impedance share ten percent more load current.But here i see the transformer shows different power factors although they are sharing a common load.As we know the transformer are not having their own power factor it depends on type of the load.So kindly clear my doubt that why both of the transformer are showing different power factor. Can a single multi-function digital relay used to protect three 3-phase transformers connected as outlined below? The three 3-phase transformers’ primary windings are connected to a common source bus-bar, controlled by one common breaker, and each transformer’s secondary is connected to separate 3-phase loads with individual breakers, . the windings remain identical upon each core. thank you! What is the effect of transformer Vector group on the Operation of the motors connected to the transformer as load. Thank you so much for making this article available. i total = i1 + i2, all other conditions fulfilled. Excellent write up Jignesh! Thank you very much!